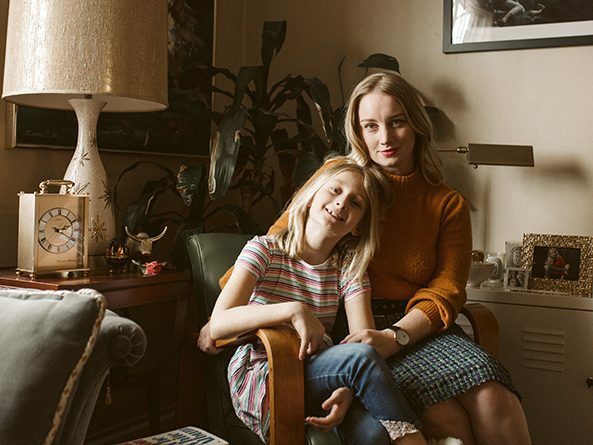 By the time Omaha Sen. Megan Hunt wrote the business plan for Hello Holiday—a boutique that supports the work of local designers, artists and activists—she already had founded or co-founded a bridal accessory business, a shared co-working space and a nonprofit with the goal of reducing harassment at Omaha nightclubs and bars. 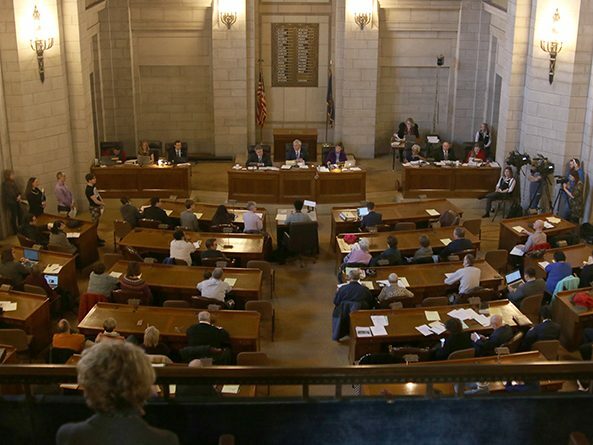 After two days of debate, a bill that would remove a ban on food assistance eligibility for individuals with past drug felonies stalled during general file debate March 21. 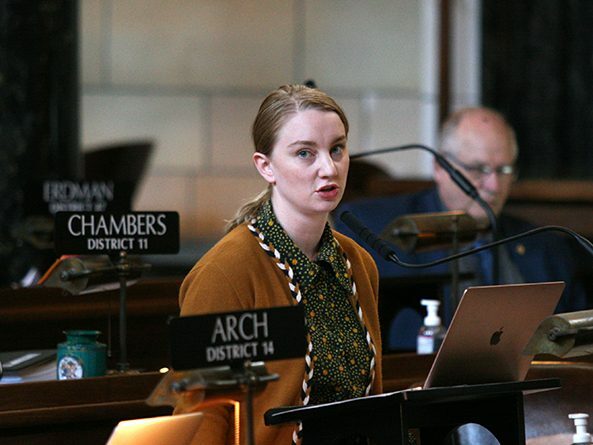 Members of the Judiciary Committee heard testimony March 20 on a bill that would allow patients to receive medical abortion services through telehealth. 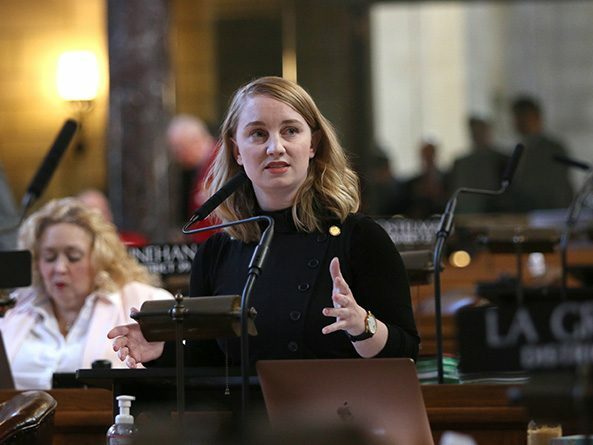 The Health and Human Services Committee heard testimony March 14 on a bill that would require hospitals to offer more information to sexual assault survivors. After two days of debate, an attempt to increase the minimum wage for persons who are compensated by way of gratuities stalled on general file March 14. All Nebraska voting precincts could allow voting by mail under a bill considered by the Government, Military and Veterans Affairs Committee March 6. 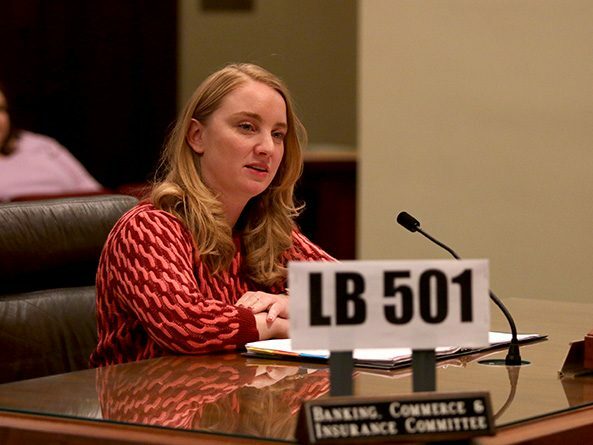 A bill to extend health insurance coverage to include in vitro fertilization was considered March 4 by the Banking, Commerce and Insurance Committee. Members of the Judiciary Committee heard testimony Feb. 7 on a bill that would prohibit conversion therapy for any minor child. 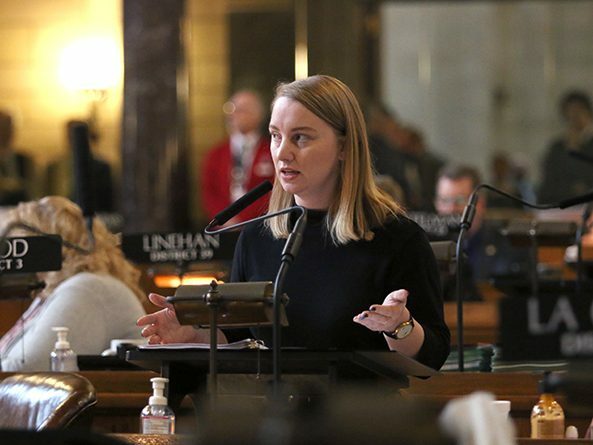 The Revenue Committee heard testimony Jan. 25 on a bill that would exempt tampons and other menstrual hygiene products from state sales and use tax.